Almost 20 years after the original Diablo was released, the game’s co-creator, David Brevik, has shared the pitch documents of the game. At the Game Developers Conference last week, Brevik held a post-mortem Diablo session in which he promised to share the original Diablo pitch document. As promised, Brevik has now uploaded the document in PDF. The document is fascination to read, and provides insight in the game’s original concept, and how it has been altered in the final game. Download the pitch document right here. Interestingly, the original pitch mentions a development time of roughly 1 year with a total of 11 developers. 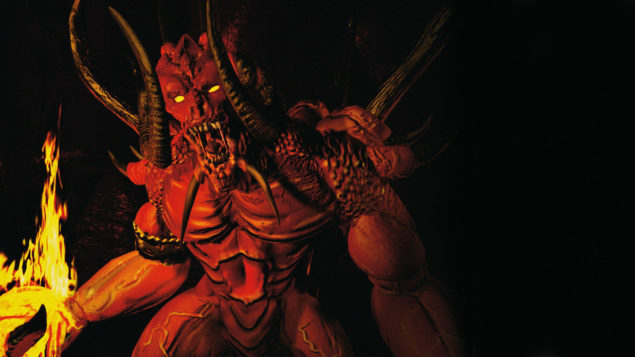 Expansions to the original game are also mentioned in the document, but the only authorized expansion that was ever released, was Diablo: Hellfire from 1997. The expansion was developed by Synergistic Software, and produces by Sierra On-Line. Strangely enough, Blizzard never released a 1st party expansion for the title themselves. Expansions were believed to be released on disks costing $ 4.95 “with the hope that they would be placed near cash registers at point-of-purchase-items”. According the pitch, “players would buy these packs as an afterthought, or maybe in an attempt to collect them all”. Who could have known that this initial pitch would eventually turn out to become one of the greatest games of all time.